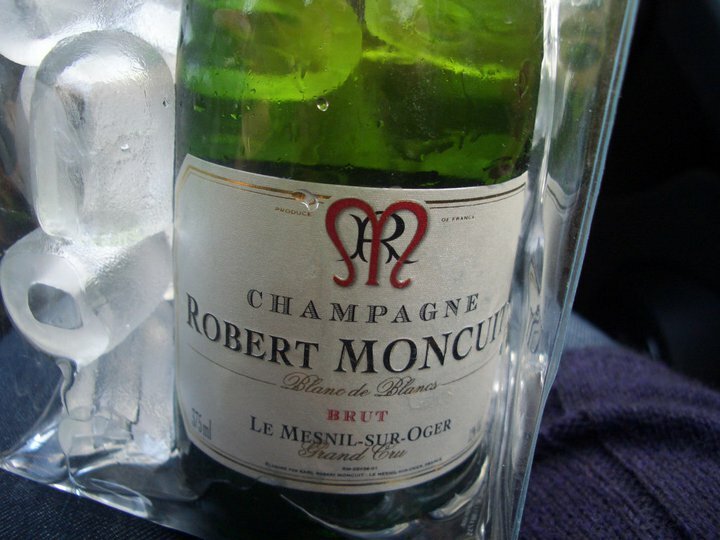 As last weekend was rainy and colder than usual for Romania, it seemed like a good idea to spend it quietly at home watching movies, doing a bit of easy cooking and sipping Champagne. Therefore SUN I opened one of the bottles purchased from our recent trip to Champagne in France in order to match a jar of Salmon eggs purchased from a Russian shop from Piata Norilor with freshly made bread and butter. Incredible combo that gave both products the chance to shine. 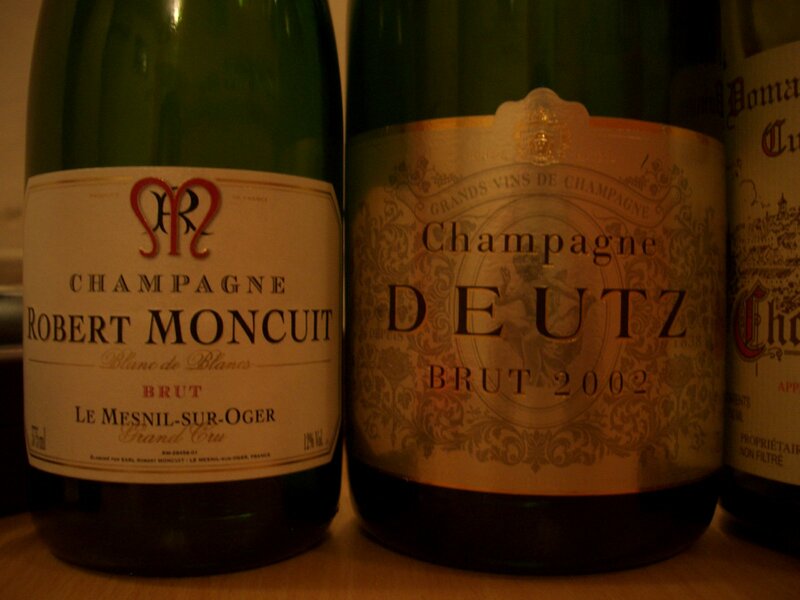 The saltiness of the Salmon eggs brought up the concentrated fresh citric aromas of the Champagne. Next dish was a mixed grill of rare Argentinian beef steak and chicken breast with spring green salad and vegetables. 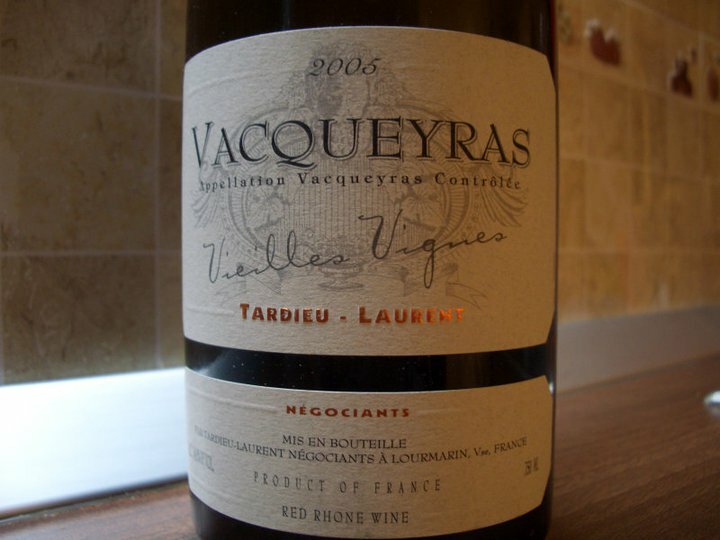 The dish was paired by a red Rhone wine from an acclaimed vintage in France from Vacqueyras. 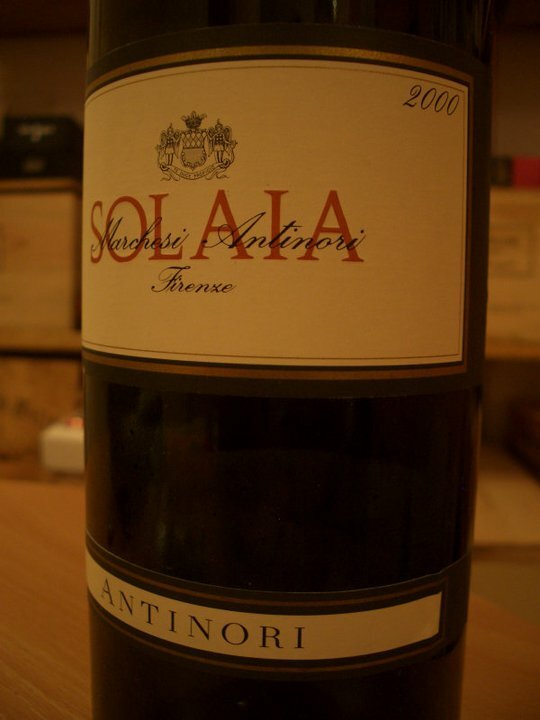 The wine for Easter this year was a classic Italian Super Tuscan made by Antinori: Solaia 2000. It was a great match for all the rich lamb dishes we had. A great wine to mark an important religious event celebrated with family. The ticket to attend the wine tasting is 200 RON and includes a dish with various types of cheese and charcuterie products and a bottle of water. The event will take place at Tratoria Roma and will start around 18:00. There will be a fixed number of 14 participants. People interested to attend can mail me at cosmin.grozea@gmail.com or info@cellartales.com. Payment will be made the latest on WED, May 11. There are about 3 more places available for the moment. 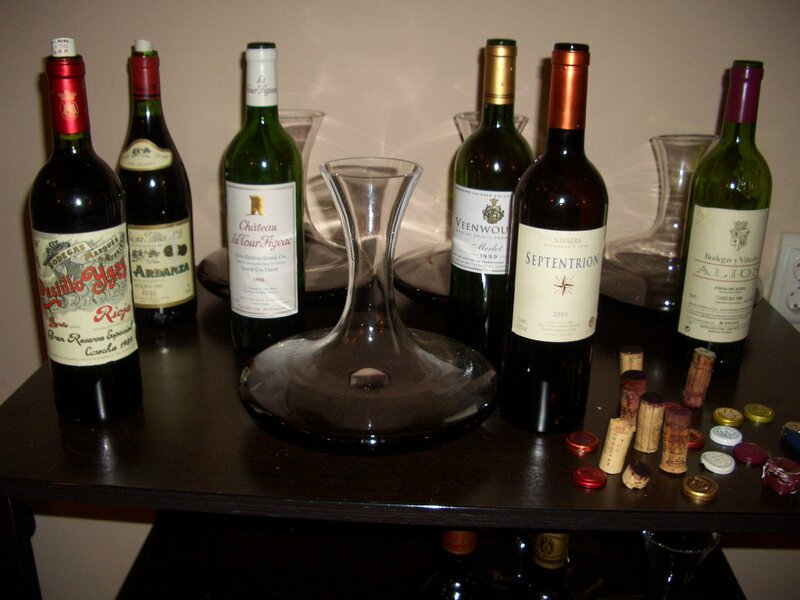 My friend Dan invited me to celebrate his birthday by having a wine dinner together on THU. 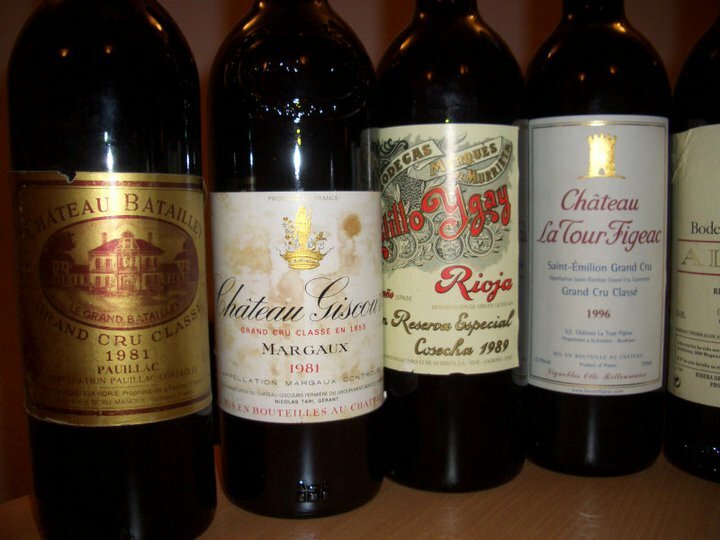 He is a big fan of wines from Languedoc, so it was only natural for him to bring these wines, from one of the most acclaimed Grand Cru of the region: Pic Saint Loup, to the restaurant to enjoy with the meal. 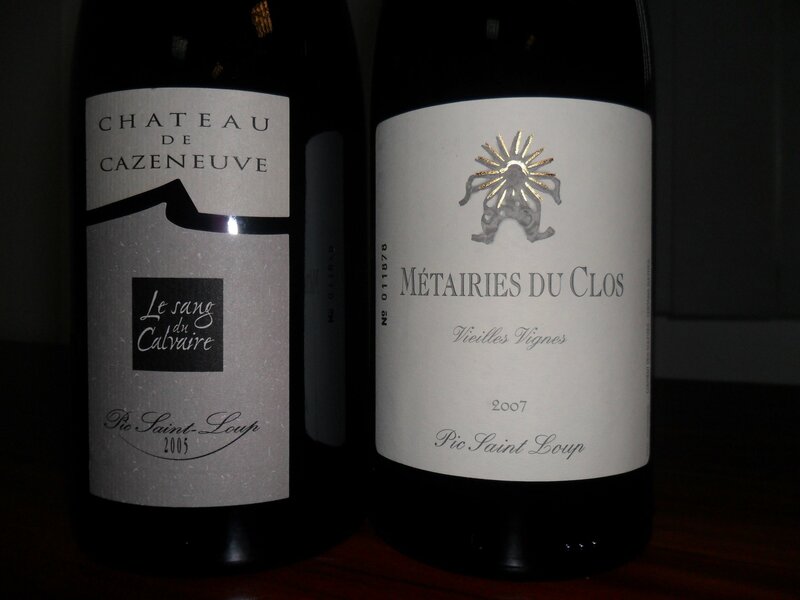 I did enjoy the 2007 Metairies du clos more for being more easy going to drink. 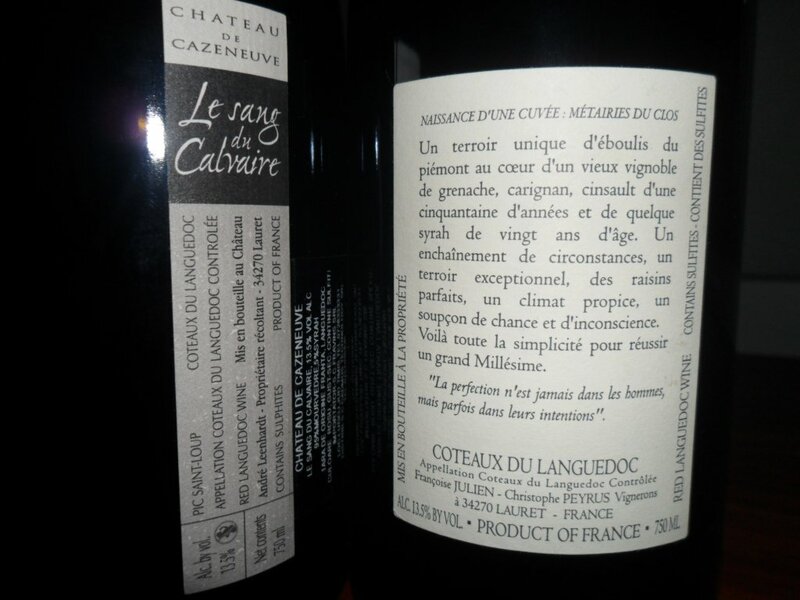 What is even more interesting is that the 2005 Cazeneuve is almost two times more expensive than the younger wine. Happy birthday Dan and all the best ! In April I traveled a lot. I was in Italy on the 7th, 8th and 9th attending Vinitaly 2011 and a dinner at Serego Alighieri estate, came back to Romania and left after two days to Belgium for almost two weeks. Since I was so close to France, together with my wife, we spent a lovely weekend in Champagne on 15th and 16th(more about this weekend in a special post). 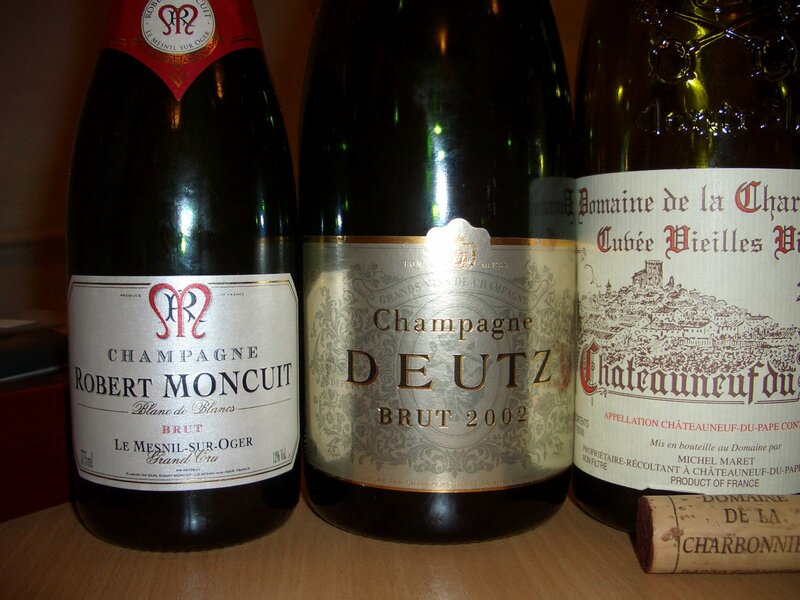 Belgium is a country were you can easily find wine merchants almost everywhere, therefore the offer is exhaustive. I visited many wine merchants and bought a lot of wine, most of it extremely low priced compared to what is available in Romania. I know: Belgium is very close to France and the shipping cost is lower. But on the same token, their mark up is also lower and more common sensed. 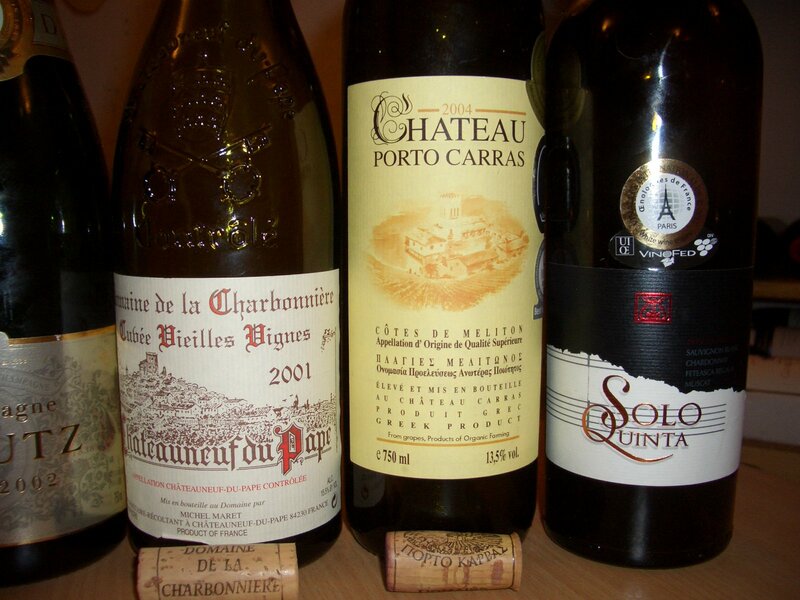 There were plenty of wines tasted in Italy, Belgium and France. I wrote tasting notes on some of them – not for the ones at Vinitaly as they were over 300, but very few have full tasting notes taken. Partly because many were tasted on the run, partly because I just wanted to enjoy my time without having to pay too much attention dissecting each wine during our meals. So here is a list with some of the wines I had in April and took pictures and tasting notes. 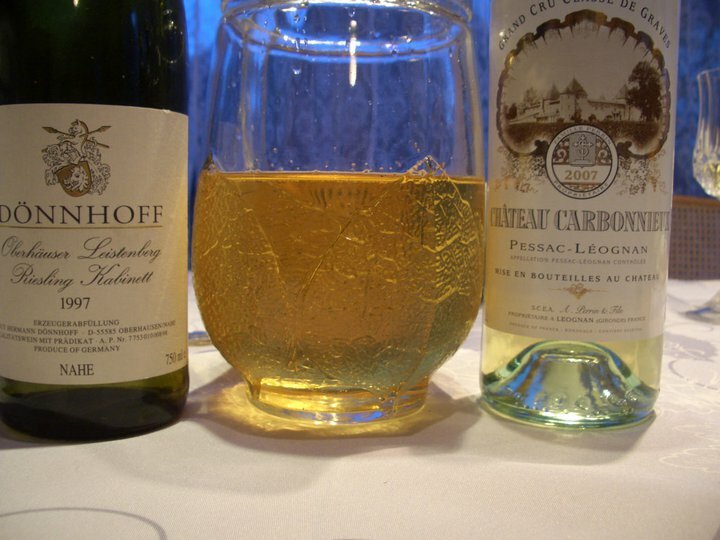 The wine was great with a home cooked lobster in a sauce made of aromatic herbs and melted butter. 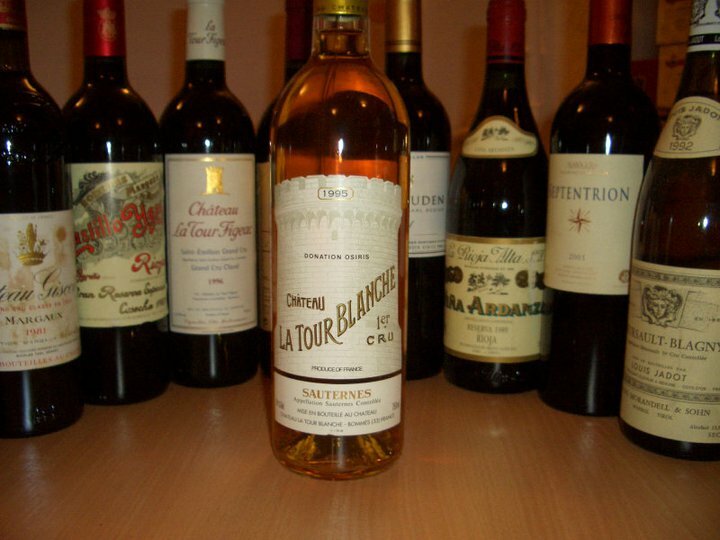 I bought 4 bottles of this wine for 13.28 eur per bottle. Unfortunately the merchant did not have more, as these were his last. 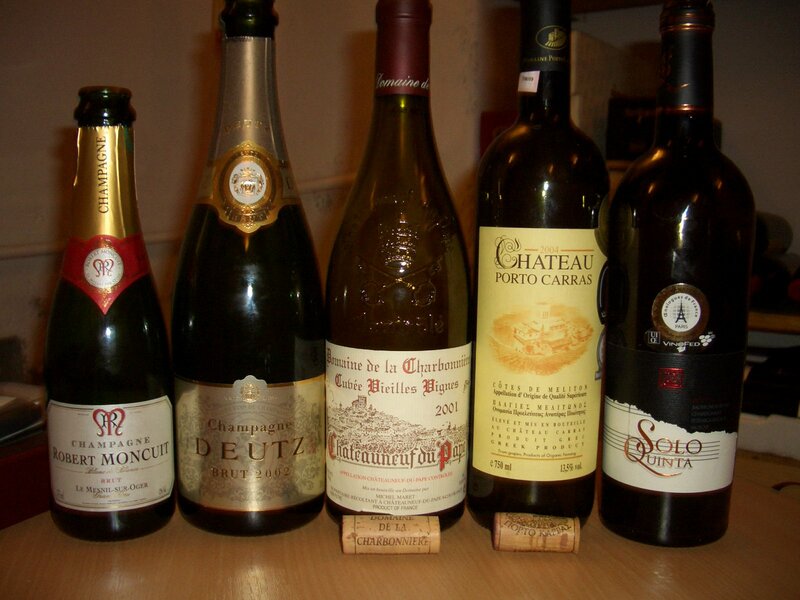 I had huge problems pulling the corks out in one piece on all bottles . 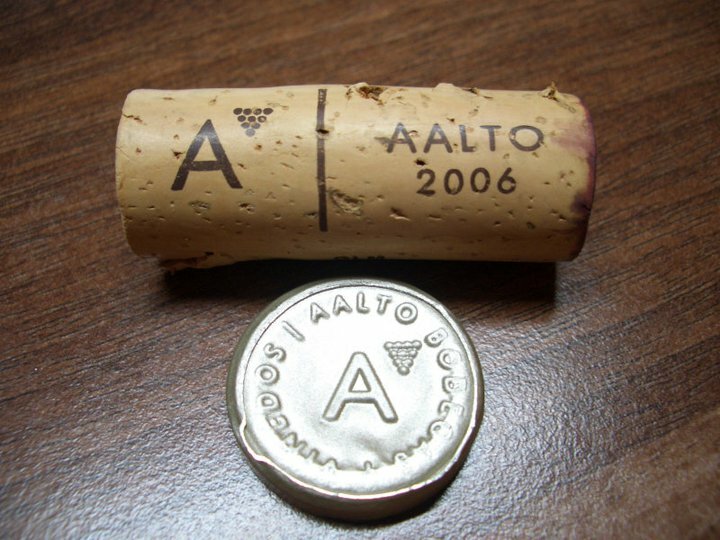 As a matter of fact the cork was so soaked in wine that it only came out in very small pieces. 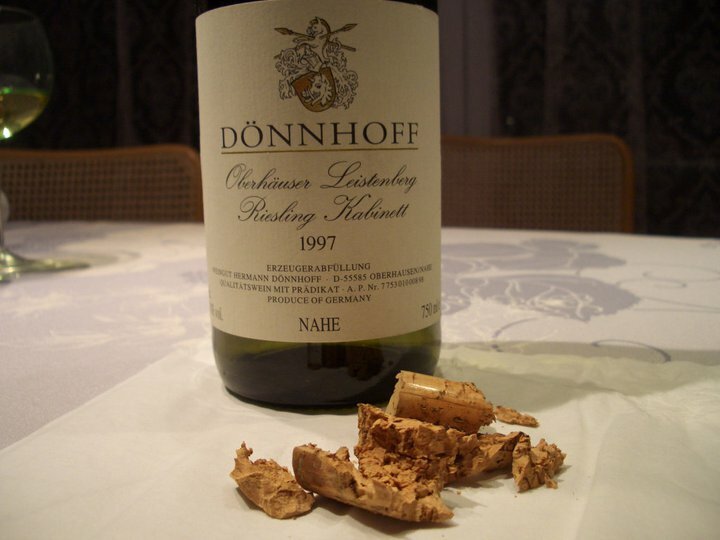 Decanting was not just an option, it was mandatory in order to filter all the remaining small pieces of cork that fell into the wine. 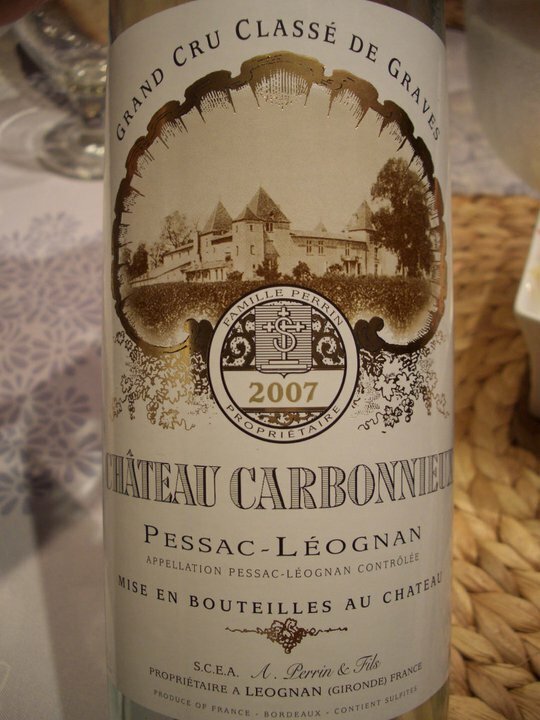 This was a really nice wine that we had with spicy Asian chicken, mushrooms and roasted potatoes. This is a totally different style of wine. The wine comes in a New World style: a heavy extracted fruit bomb dominated by oak. 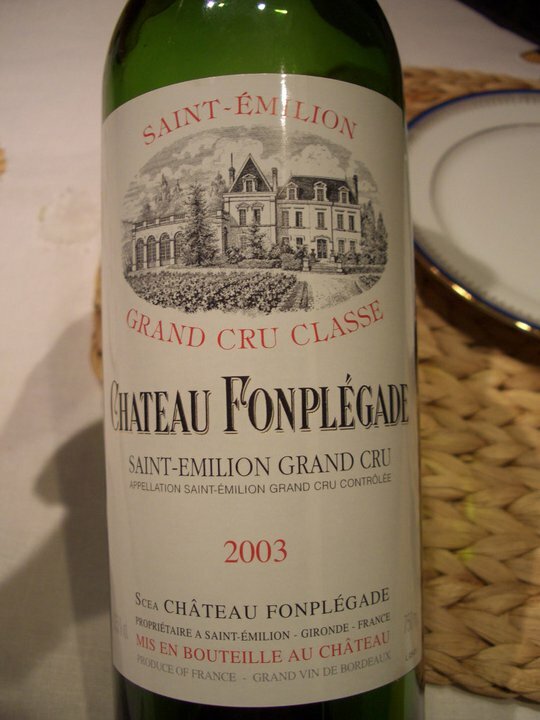 If the 2003 Fonplegade is like a graceful dancer, the 2004 Fombrauge is a big muscular guy on steroids. I hope my metaphor is plastic enough and able to deliver the picture of the two wines. The wine feels heavy in the mouth and more than 2 glasses per meal is a real challenge for me. 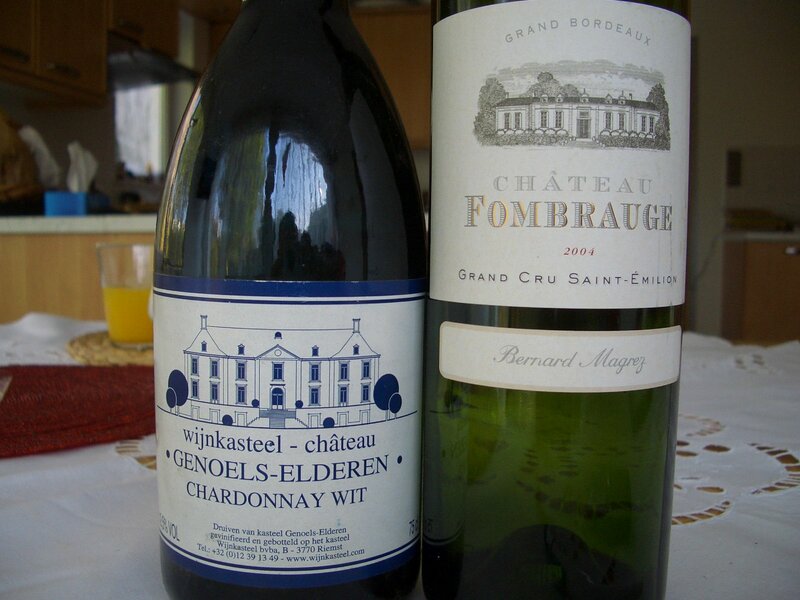 I received this wine as a gift from one of the Belgium wine merchants I visited while there. I have to confess I did not know what to expect before opening it as I have little knowledge about the quality of the Belgium wine. 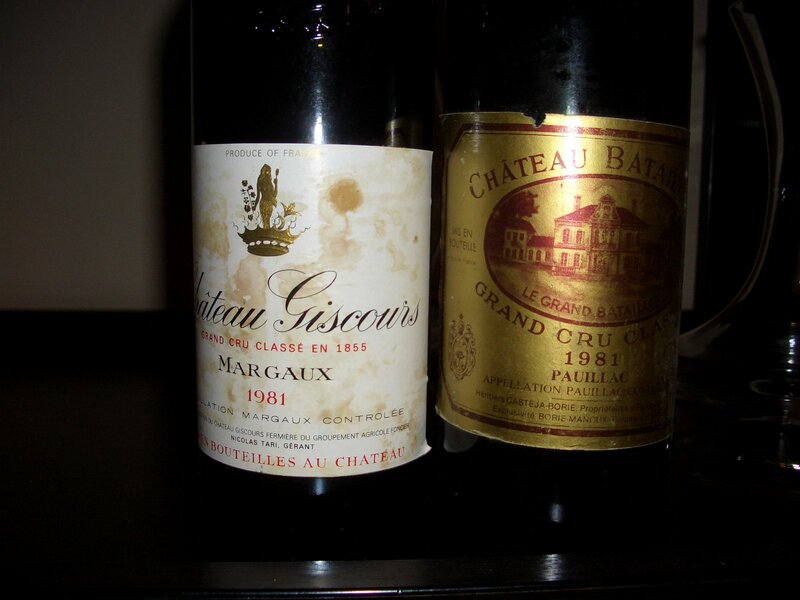 The wine was a very pleasant surprise as it was in a great shape at 10 years of age. Thanks a lot JP for the gift. 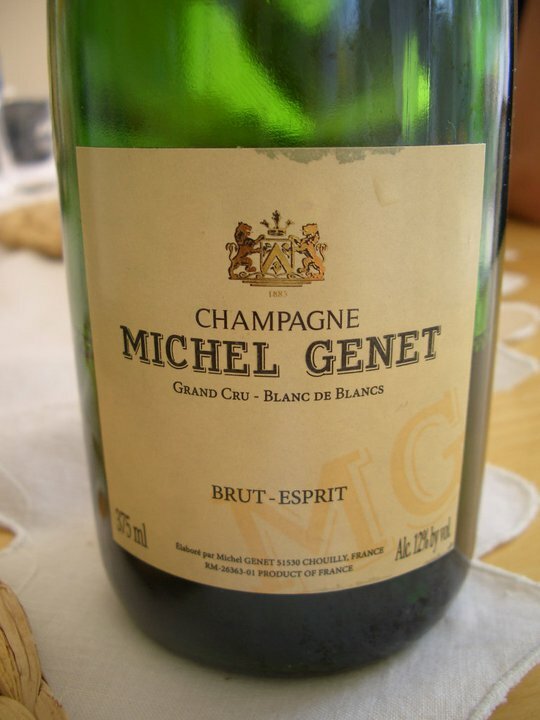 This is the first sparkling I had while visiting Champagne . We bought this wine from a shop in Epernay together with 2 glasses and they gave us the bottle in a plastic bag filled with ice. Now that’s what we may call a full service. 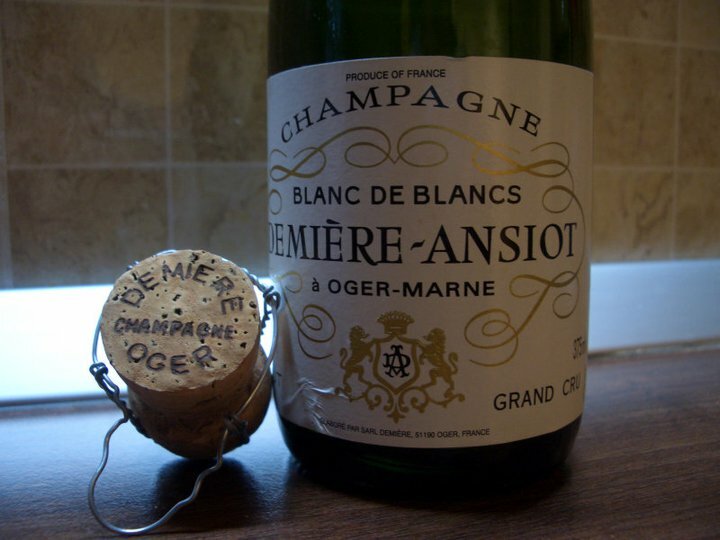 We drove the car from Epernay and drank this wine straight in the vineyards of Le Mesnil sur Oger(about 20-30 km from Epernay if I am not wrong). The overall experience was just amazing, therefore the only thing I remember about the wine is that it was very focused, showing a beautiful minerality with the right acidity. The overall experience cannot be quantified by a score. While in Champagne we also visited the Moet Chandon cellars and at the end of the tour we were served a glass of Moet Chandon Brut Imperial. 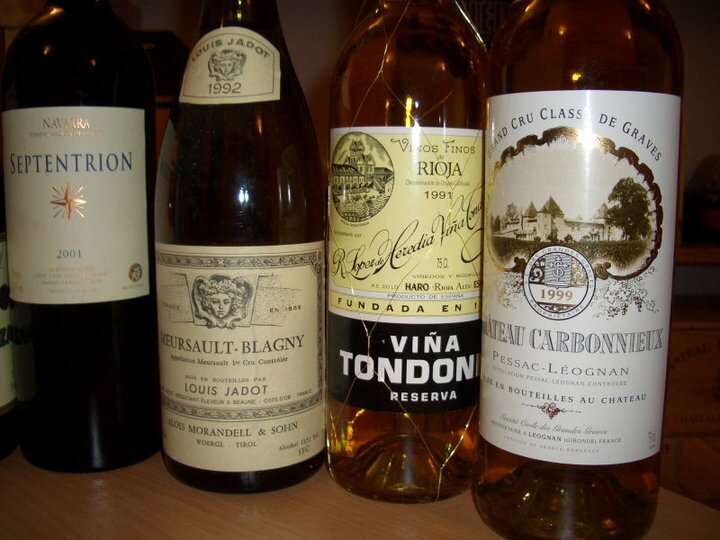 The wine is made in a very commercial style with too much dosage and very little personality. Tasted this wine in the company of the same JP that offered me the Belgium Chardonnay and sold me some bottles of old Bordeaux. No particular tasting notes taken, just from memory. Back in Romania, we were invited to visit some friends that just returned from Spain and brought some tasty Jamon Iberico. 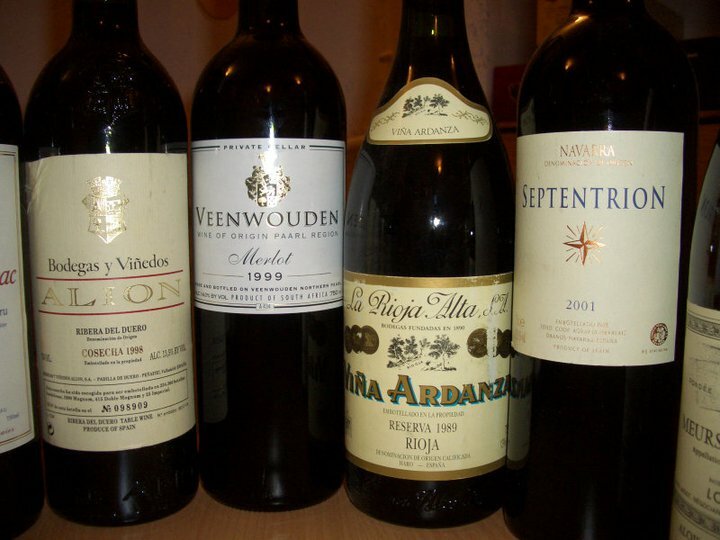 To compliment the hosts I pulled out a Spanish wine from my cellar in order to pair it with the ham. Probably a sparkling would have been a better match, but the sweet aromas of the 23 months French oak barrel aged 100% Tempranillo from Ribera del Duero did his job well.